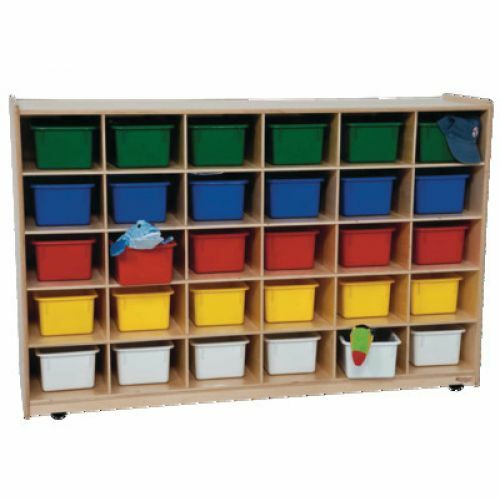 Room for trays to store all of your small manipulatives, toys, and supplies to keep them from getting misplaced. GREENGUARD® Gold certified. 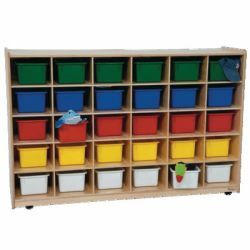 Constructed with 100% Plywood and our exclusive Tuff-Gloss™ UV finish. Fully assembled on casters. 38"H x 58"W x 15"D. Weight 152 lbs. Lifetime warranty.